German journalist Billy Six, detained by Venezuelan intelligence services four months ago, was freed Friday in Caracas — but must report to the court every 15 days, an NGO confirmed. Six was arrested in northern Falcon state for allegedly photographing President Nicolas Maduro “very closely,” according to free speech NGO Espacio Publico. 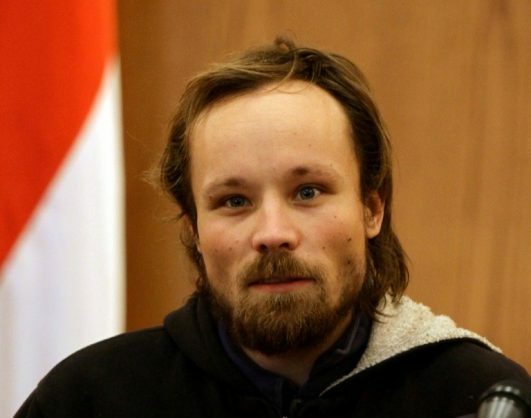 “German journalist Billy Six is freed … they are imposing interim measures of presentation every 15 days and prohibition to speak to the media about his case. We demand full freedom,” the group said on Twitter. Six went on hunger strike in December, before lifting it pending diplomatic efforts, according to the German embassy. He then published a letter claiming he had been denied the right to defense and that he had not received the results of medical testing after suffering from dengue fever in late October. He was in the country to investigate drug trafficking, smuggling and human trafficking — and the exodus of Venezuelans forced to migrate due to economic crisis.